Photo by Colin Dillingham. Bird identified by Colin and Angela Dillingham immediately after Colin spotted it, he showed it to Angela, and then later Jose Carlos Garcia, Francisco Denhaale, Euclides Campos, Shailesh Pinto and two other members of our tour group (Larry and Bonnie). It landed in the trees on the south side of the access road. Then it worked its way east down the fence row of trees. A fork-tailed flycatcher was chasing it for a while. 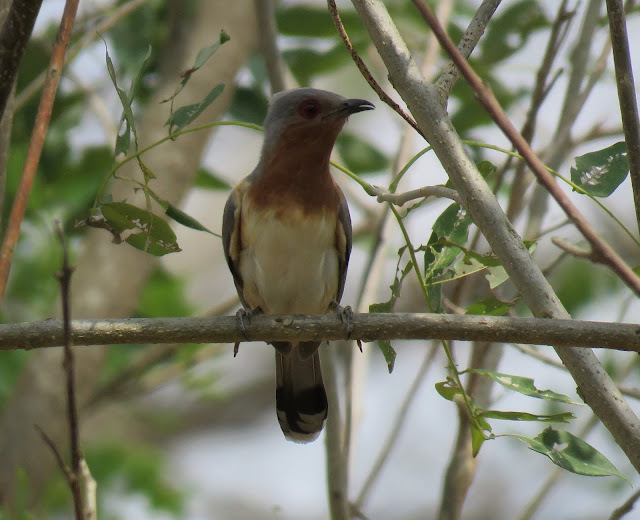 It was a small cuckoo, with a dark bill with a decurved tip. 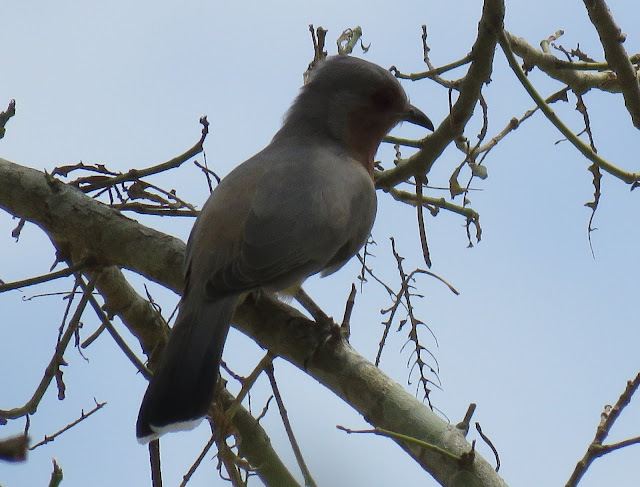 It had a gray face and crown, with rufous throat and neck. There was a strong contrast between the rufous chest and cream colored belly. Legs were gray and eyes were red. Tail was gray with outer retrices shorter than central retrices. The tail feathers had thick dark subterminal tail band and a narrower white terminal tail band. Gray wings had no wing bars and gray back.